Celery juice is one of the most important and useful juices for health, it is effective and useful against inflammation and is excellent for helping to detoxify the body, helps reduce cholesterol and is used to curb appetite. It also gives you very low calories and high fiber. 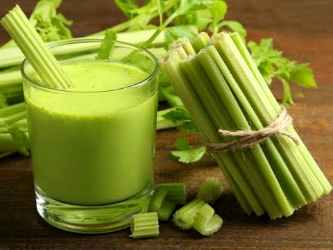 Celery juice has recently become the focus of people and their discussions on social networks so that many Hollywood stars declare their love for this juice, is it really useful? Celery juice has become an important food for many, and people are confident that its juice is very useful, but they believe it is a medicine that helps cure many diseases. Any Celery Juice Side Effects? Celery leaves are high in vitamin A, while celery is an excellent source of vitamins B1, B2, B6, and C. It also has rich supplies of potassium, folate, calcium, magnesium, iron, phosphorus, sodium and many essential amino acids. In addition, the juice of celery contains a lot of fiber that helps in the movement of the bowel, noting that the element of sodium in the celery is necessary for the body, unlike salt iodized food, which is dangerous to those suffering from high blood pressure. Researchers have confirmed many benefits of celery juice for your health because it is rich in all the nutrients that can be taken regularly to help you get a lot of health benefits of skin and hair. In fact, celery is actually amazing and its health benefits increase when it is in the form of juice to get a much larger dose of strong nutrients and health benefits of celery juice including preventing inflammation, disease, protecting the heart, reducing the risk of cancer, cleaning your body, Recover from stress and even help you sleep well at night. Celery is known to contain antioxidant compounds that act to stop the growth of cancer cells. It contains phenolic acids that inhibit the action of prostaglandins that promote the growth of cancer cells. Celery juice works to reduce cholesterol effectively and remarkably. The fibers found in celery help reduce cholesterol levels because they pick up excess compounds in your bowels and drive them out of the elimination process. Celery is rich in antioxidants, and celery juice is an effective remedy for all arthritis, osteoporosis, asthma, and bronchitis. Celery promotes kidney function and makes it healthy by helping to eliminate toxins from the body, as it prevents the formation of kidney stones. You can eat celery juice 30 - 40 minutes before bedtime, and there are many elements that help to calm the nerves and sleep. Celery juice works as a natural conditioner that helps to relieve constipation. It helps to relax the muscles to facilitate the process of extraction. You can prevent dementia and Alzheimer's when you eat celery juice to take advantage of its benefits. You can intensify the fight against these cognitive disorders by eating celery juice because it contains lutein, and it is known to work to reduce the inflammation of the brain and one of the factors that prevent the development of Alzheimer's disease and dementia. Celery is rich in antioxidants and is characterized by its anti-inflammatory properties, so these nutrients help you to feel good and fight diseases. Celery juice is very useful for people with arthritis, rheumatism, and gout. It has anti-inflammatory properties that help relieve swelling and pain around the joints. Celery juice also acts as a diuretic, which helps to remove uric acid crystals that accumulate around the joints in the body. It adds a lot of pain and discomfort. The juice of celery juice is a good source of urine to facilitate urine production and help us stay healthy. This is because there is an appropriate amount of basic minerals such as sodium and potassium, which is present as a regulator of body fluids and thus promote urination. Helps the urine to expel toxins from the body and prevent all kinds of diseases and problems. A high amount of water is extracted in celery about 95% of plant weight water. Thus, drinking celery juice in a regular manner can meet the daily needs of water and keep skin cells moist, and as a result, you get smooth skin. There are many factors that result in damage to the skin, including exposure to ultraviolet light and need to protect the skin from the damage of free radicals caused by ultraviolet radiation, which is one of the benefits of celery juice. Believe it or not the high water content besides the antioxidants that help celery juice prevent the damage of free radicals. It is important to drink a glass of celery juice two or three times a day during the dry and hot weather between meals, which helps to moisturize and adjust the temperature of the body, celery juice contains very high rates of water by more than 80%, turning it into a primary source To moisturize your skin, especially if you take it regularly, to turn your skin after a short period to soft and moist, and thus prevents drought. Celery juice is loaded with vitamins such as vitamin K, vitamin C, vitamin B, vitamin A, niacin and folate, which are essential for repairing skin damage and maintaining the beauty of your skin. These vitamins also help in the production of collagen and nourishing the skin so it is necessary to get a smooth and free skin. Wrinkles. It has been mentioned that celery juice contains a high amount of water and vitamin A, both great elements of hair. The water content of celery moisturizes the scalp and removes dandruff easily. While vitamin A provides nourishment to hair roots and makes them healthy. It is known that celery juice stimulates the growth of hair and improve its texture and thus get rich and fertile hair. Drinking celery juice helps curb cravings for sweets and calorie-rich foods, which can lose weight. Regularly drinking celery juice before meals can help reduce weight. Celery juice works to promote weight loss will become easier when regular celery juice is consumed, as well as low calorie and at the same time increases the feeling of satiety. Therefore, it maintains the level of appetite under choice and helps us lose weight successfully. - You should choose celery green, which contains a little chlorophyll, and you must choose hard and non-graduated, and if you intend to store it in the refrigerator, place it in a container or wrapped in plastic wrap. - Do not leave celery at room temperature for too long because it tends to flutter quickly. If the celery has withered, you can sprinkle it with a little water and put it in the refrigerator for a few hours, and it will regain its fragility again. - Celery should be eaten within seven days of purchase. After 5 - 7 days, large amounts of antioxidants in celery disappear. 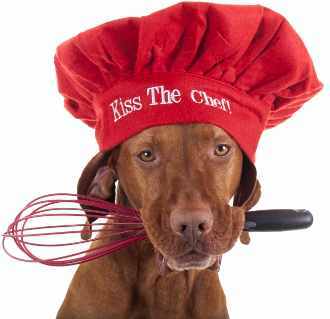 In addition, flavonoids are found in fresh chopped celery more than the chopped celery that has been stored. Celery juice is not without some risk depending on how the body interacts with it. While the high level of water in celery is beneficial to health, it can also cause pressure on the kidneys, which could be dangerous to their work. Nutrition and health experts have warned that some people may be allergic to celery juice and advised people with allergies to consult their own doctor before taking it. - If you have low blood pressure, you should avoid eating celery because it makes their blood pressure less. And finally these benefits of celery juice may be a surprise for you if you can not get it into the diet, it's time to start adding celery juice to your regular food routine as a favorite ingredient in your juice recipes.